e-Learning includes practice data and exercises. Before attending this course, you should have taken SAS® Programming 1: Essentials or have equivalent experience. 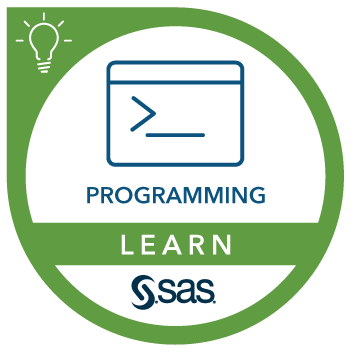 You are encouraged but not required to take SAS® Programming 2: Data Manipulation Techniques or have equivalent experience. Students should have little or no prior exposure to SAS Enterprise Guide.